Once a cameraman, always a cameraman and that's probably the reason why friends oftentimes look at me with amazement as if something is missing whenever they see me without my gadget. I often suspect that friends invite me to their functions and programs not because they want to have me but because they want their event covered and seen on cable television or on the pages of the local weeklies. There are also times when people mistook me as an ABS-CBN cameraman or a Midland Courier reporter. At one time, I was called "Kodak" by a city mayor who loves wearing cowboy hats. "Saang Studio Kayo?" (from what studio are you from?) is a common phrase asked of us. Well, that's what we cameramen get for wearing the usual multi-pocketed vest and not flashing our presscards like a policeman's badge. Baguio is normally festive during summer time vacations and the lent is our period of penitence by hosting the annual lucky summer visitors. Sometimes it's hard to stay sober since drinks are overflowing courtesy of sponsors and friends but we have to take turns to tour the visitors because it is an obligation...as I said it's our penitence. Whenever we attend a press conference and served a decent meal, I jokingly tell my wife that I must be an occasional free lunch journalist but she is quick to reply that there is no longer such thing as free lunch. True, those who usually call for a presscon want to access the media for their personal, political or corporate gains. When it comes to civic activities, journalism lectures and other worthy causes, expect my organization, the Baguio Correspondents and Broadcaster's Club (BCBC) to be a good partner. At one time during the return of Apo Anno, a centuries old Benguet mummy to his original cave in Buguias a few years back, lensmen acted like Paparazzis disregarding every guidelines that the National Museum imposed. Anno became an instant celebrity that every hole, dent and cranny of his tattooed body saw print in wide reaching publications. As a result, the words cultural sensitivity became a byword among working journalists. In fact, two journalists reportedly felt ill during the coverage when they did something inappropriate like sneezing during the solemn ritual. Having served the government since some few remaining months of the late dictator, I can say that I have witnessed a historic event and experienced realities and hulabaloos in the Philippine bureaucracy. In October 1985, I tried my luck as a neophyte VTR Editor of the defunct Newscenter-4 of the Maharlika Broadcasting System (NBN). Korina Sanches was then a fresh talking-head (newsreader) while Ces Orena-Drilon, Becky Cabral, Ronnie Nathanielsz, Bon Vibar and Lulu Matubis were among the regular anchors of the news center. My task then was to assist the Chief Editor on the U-matic recorders, edit sports clips and put together sanitized visuals of Imelda Marcos. A cardinal rule on editing Imelda's tape was to show her best profile and edit-out unwanted takes that showed her double chin and skinny legs that were not proportionate to her heavy built that time. No EDSA revolt can ever come close to the first one especially from an insider's point of view. I was lucky to have left Manila for Baguio moments before the EDSA revolt broke out. Channel-4 was taken over by rebel forces and when I returned to my network station, new faces in yellow shirts lorded over the place and Cory loyalists took over the network. 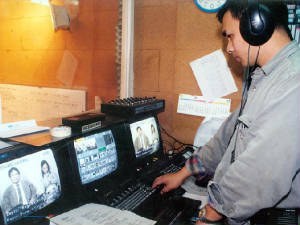 Actors, singers and other celebrities including Baguio boy Bong Pineda who was with the Cory uprising movement was among those who temporarily sat as anchors. Seeing no bright prospect for a Baguio boy to stick it out with a network undergoing an indefinite change, I decided to return home. Few months later, with a scar from a pellet gun on my forehead as a result of the odd jobs that I engaged in, I joined the National Media Production Center now resurrected as the Philippine Information Agency. When the dictator and his cronies fled to Hawaii in early 1986, the revolutionary government ruled the land and Cory became my big boss. Many of Cory Aquino's programs then were then labeled with the word "people" or "public" that even Malcolm Square was renamed as People's Park. I held the position of Public Assistance Desk Officer before I became an Information officer. Months later, I was involved with the Cordillera News Agency, a loose research and media based organization that facilitated the meeting between President Cory Aquino and Fr. Balweg in Mount Pulag. 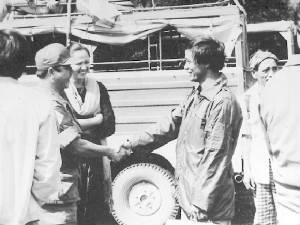 That historic encounter led to a peace pact called "Sipat" which means a slap in the face in literal Ilocano. "Sipat" or "Allasiw" is a tribal practice wherein conflicting parties resolve their differences by exchanging tokens and agreeing to enter into a pact. In the case of then President Cory Aquino and Fr. 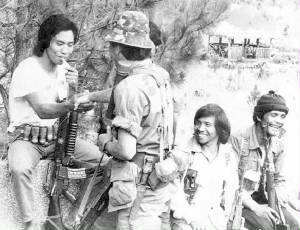 Balweg, it meant a cessation of hostilities between the Cordillera People's Liberation Army and the government armed forces. To symbolize unity among the Cordillera tribal people and the national government, Cory offered a bible, an Armalite rifle and a rosary to the CPLA and Balweg gave a warrior's shield and head ax in return. During that symbolic encounter, gongs were played and the uniformed combatants rested their rifles and mimicked wild birds dancing. That historic moment (September 13, 1997) in Mt. Data signaled hope for the creation of an autonomous government in the Cordillera. From the Mt. Data Sipat until Balweg's funeral in Abra just at the turn of this century, I have partly chronicled Ka Ambo's (Balweg) quest for autonomy. 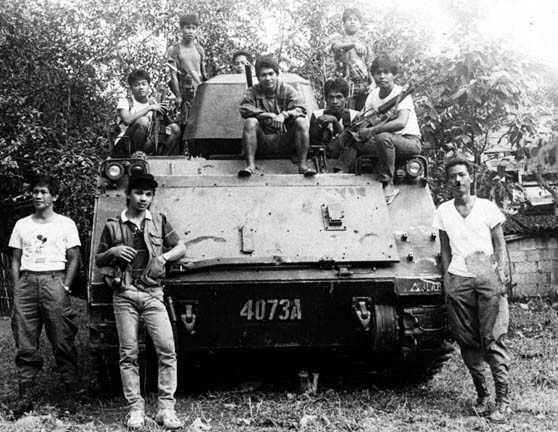 In 1987, I was with a platoon of CPLA cadres in a remote town of Abra when eight of the top ranking men of Balweg were ambushed few moments after we have passed a spot where the other rebel group staged their killing. The ambushers believed to be from the New People's Army must have realized that the team that I was "embedded" was a non-combatant thanks to my bulging camera and a rancher's hat that made me look like a lost tourist. When a delegation of Cordillera leaders went down to the ARMM Region in Mindanao for a consultative meeting with Nur Misuari in 1997, I noticed that the rebel priest never really left his mountain home. I have recorded on film Balweg's enthusiasm on the muslim culture and saw some of his lightest moments with his Mindanao counterparts. When I covered the National Democratic Front Congress in Sagada sometime in 1987 with NDF top brass Antonio Zumel and Luis Jalandoni, my crew cut hair didn't do me a favor. Despite the press ID issued to me by the organizers, suspicious eyes was on me as I focused my lens on cadres armed to their teeth. I was once branded as a subversive when I made an artistic interpretation on the slow paced Aquino-Galman murder trial. In some of my rally coverages, I was also mistaken as a government infiltrator. 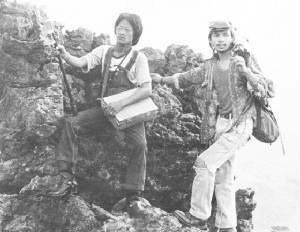 In 1995, Peppot Ilagan and I practically lived in Sagada for days waiting for things to happen. After a quarter, we produced a documentary, &#8220;Sagada: The First Peace Zone&#8221;. The project was a major undertaking by the Cordillera News Agency and the Philippine Information Agency-CAR. After two futile attempts and political pressures to get the people's nod on the proposed form of autonomous government, the organic act that was supposed to pave the way was rejected twice by the Cordillerans. President Estrada through an executive order dissolve the two governing bodies of CAR to the dismay of a handful of appointees who lorded over the region for several terms. Projecting a President's image can really be a tricky task for a publicist especially if that official has a habit of pouting and frowning in public. As a matter of etiquette, press photographers are not supposed to take photos of a top official while eating, frowning, mad or even gambling. A camera buff himself, Atty. Mike Arroyo inducted the officers and members of the Cordillera Press Photographers at the favorite nesting ground near the Mansion recently. What Atty. Arroyo cannot experience as a cameraman is get collar grabbed and pushed by Presidential guards. Now back to camera gadgetry: Today I carry one that is light and ideal for my new work as a trade and industry promotions officer. Of course, I give thanks to CNATV for making me an instrument to document an important slice of Cordillera history. My new gadget has a Japanese recording mechanism and a German lens-an unusual duo well remembered for causing a significant mark in world history (or tragedy). Now, what is the Tagalog term for a photographer? According to the Professional Photographers Association of the Philippines, it is "Manunyut ng piktyur".